If you want a fizz that tastes spectacular, this recipe is for you. In under a month you get the full bright fruity taste of currants with a mildly mouth puckering tart-tannin background. The aroma is the wonderful woodland smell of crushed currant leaves. All this surrounded with lively & youthful fizz. I’m delighted with this discovery. In truth, I had a freezer full of a mix of red, black and white currants. And I needed the space. 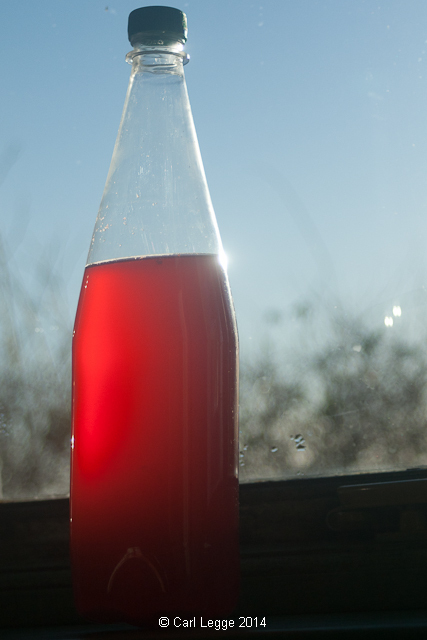 In the spring, we enjoy the taste of quickly made elderflower ‘champagne’, so I thought I could experiment and do a similar thing with the currants. To find out how easy this is to make (and other fruit ‘champagnes’), please read on. I was intrigued and showed her my Bouza bread beer experiment post. Despite my references to ‘vomit’, Julia changed her mind and took up the challenge. I’m so pleased Julia did this and her guest post below charts her progress. A second post will show how she used the remains from the cider fermentation to make a cider barm bread. The weather forecasters are promising a drop in temperatures and frosts next week. This will put an end to some of the flowers still soldiering on in the garden, giving their all. We are usually lucky here: we live on a peninsula and so we’re surrounded by the sea; our frosts are mostly light and often late. I took the opportunity to keep the summer going just a little bit longer and brought some of those flowers into the house. 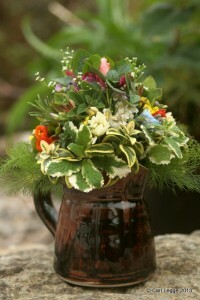 I tightly pack and bind flowers, herbs and foliage to give a posy which will delight the eyes and nose. I wandered round the garden and collected my bounty. I was amazed at the variety that was available. I always put a single flower in bud at the centre and found a romantic pale pink rose for this. Then I picked the rest of the ingredients: four stems of each. I found mints, rosemary, lavender, thyme, periwinkle, pinks, lemon balm, oregano, Japanese parsley, winter honeysuckle, winter jasmine, camomile, mashua, creeping borage, Californian poppy, yarrow, brassica flowers and fennel. I’m sure I’ve forgotten some. 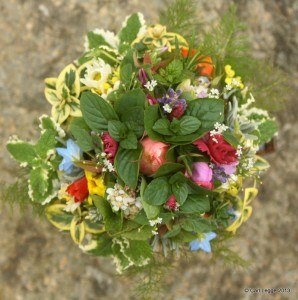 When the weather is warm I make the posy outside and often have bees land on the flowers I have picked. On this occasion it was too cold to stay still outside so I brought my goodies indoors. I stripped the leaves from the bottom of the stems and then, starting with the rosebud, began tying in the stems. 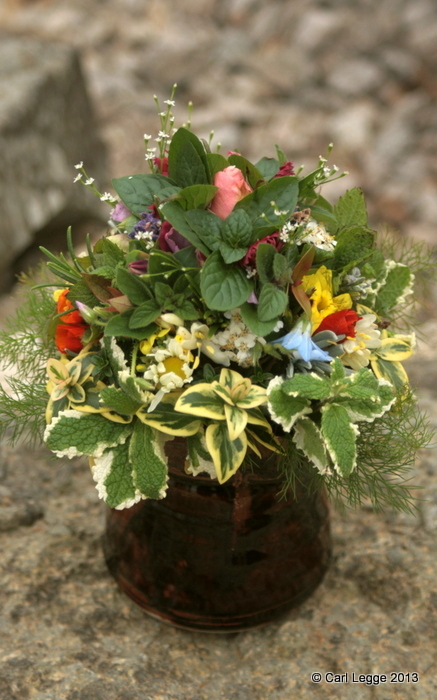 There is a symmetry to the posy as each group of stems are added in turn. Finally I put an outer layer of fennel stems to finish it off. Usually when I make these posies, I am more discerning about what goes into them – a colour or scent theme or such like, but this was to extend the summer and had a bit of everything in it. I will change the water every day in the little jug it sits in. I love the jug, it’s gorgeous and a gift from Porth Llwyd Pottery from my friend Nina. The posy should last for 2-3 weeks by doing this and in this little corner of North Wales we will still have a little bit of summer. What do you do to keep summer going in your house? Today is the day to celebrate the wonderful variety and bounty that apples give us. To help us celebrate, here’s a list of some of my favourite recipes. A doddle to make, very healthy for you and lots of fun. You can use damaged apples, or scraps. So this is a great way of using every apple you have. Beware, this is addictive. You use two of the season’s great fruits. The more you make, the longer you can enjoy. One of my most favourite cakes courtesy of my mum-in-law. With some great examples of other people’s results from this recipe. Crispy, spicy, custardy. It’s a joy to eat. And what better way to celebrate than with this easy to make wine recipe? I hope you like these, What’s your favourite? These are a blast for any chilliholic and will add a new dimension to the seasonings on any table. In the northern hemisphere, now is when we need to preserve green & red chillies. If you have a blender or food processor these couldn’t be easier. Chillies and tomatoes are arguably two of the most influential culinary exports from South America where they originated. Traders took them to Europe, the middle & far east from the 16th century onwards. Their use is characteristic of many cuisines. Harissa & schug are similar to some of the original salsas & pebre of South America. They can be used virtually anywhere in your culinary repertoire. In soups or stews; as a rub on meat, fish & vegetables; spread on bread; as a dip, with hummus or felafel etc; or like a ketchup. On the left, the delicious snack my friend Tamsin made with the Schug I took as a present when we stayed with her & her family. Tamsin’s blog is a cracking read too. 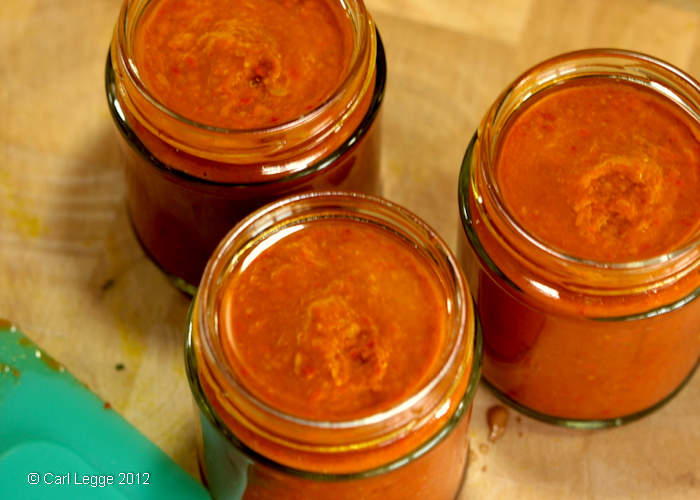 Harissa is a Tunisian/Morrocan red chilli paste seasoned with spices. Some variations include tomatoes too, which round out the flavour. 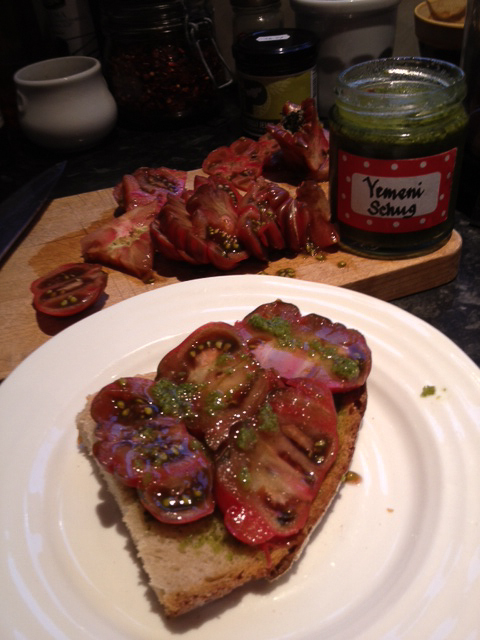 Schug (zhug or skhug) is a Yemeni green chilli paste make with lashings of fresh coriander and seasoned with spices. There is also a red variant. 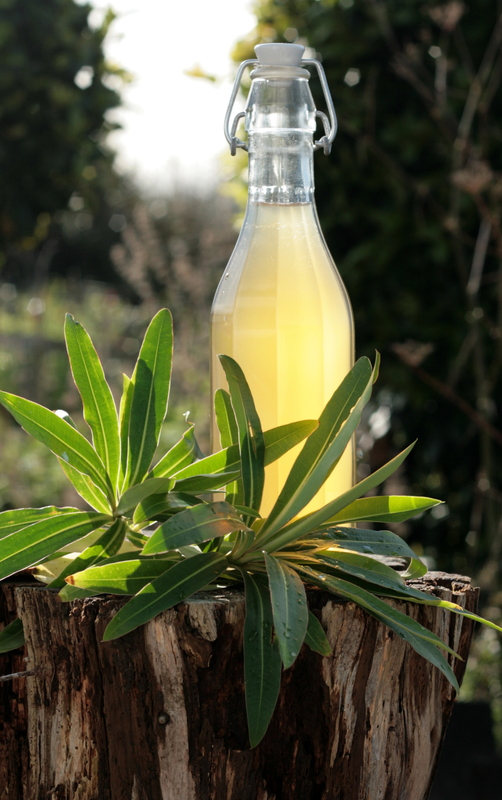 Once you know how to make your own vinegar you can experiment with different flavours. 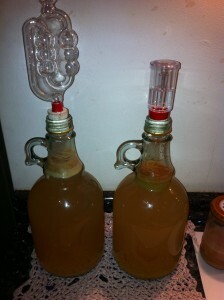 Last year I showed you how to make your own apple cider vinegar. 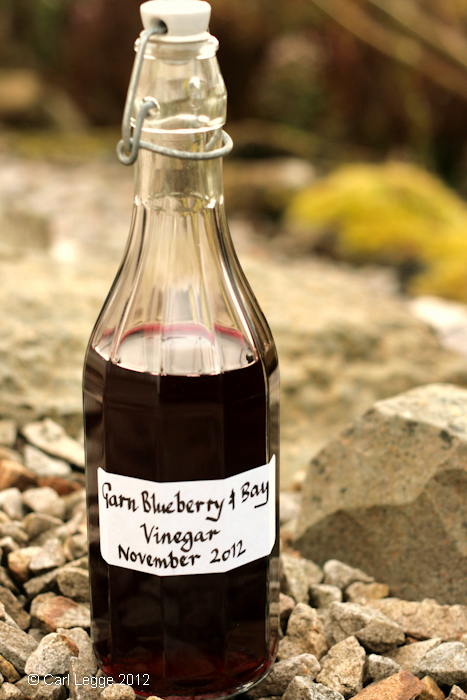 This year, I experimented to see if I could use the same principles to make some blackberry and apple vinegar. I’ve also got into using Kombucha. 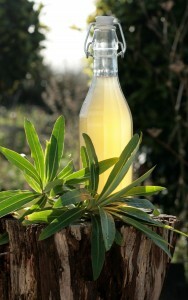 We make kombucha tea as a tasty and healthful drink. It’s also possible to use it to turn a sugary solution into acetic acid – vinegar. All you need is a kombucha ‘SCOBY’ (Symbiotic Culture of Bacteria and Yeasts). You’ll love this cake. 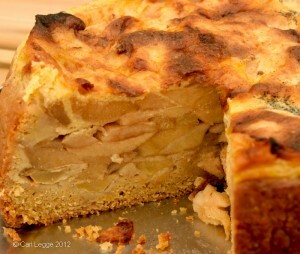 It has a crispy case; firm, slightly spiced apple filling and an aromatic vanilla custard topping. What’s more, it’s ridiculously easy to make and you get to play with squidgy pastry. I thought that the recipe(s) was (were) too sugar heavy. The four pounds of apples the recipes state I think is far too much to fit in the space available. I cut my apples first and measured their volume to work out what baking tin to use. If you make or use much good bread, you’ll have bits left over that are a shame to waste. Sourdough is great for this because it lasts without going mouldy much longer than yeasted bread. So you can collect a little stash. The bread needs to be a few days old and dry or drying. Many people know about the summer panzanella made with juicy & fragrant tomatoes. 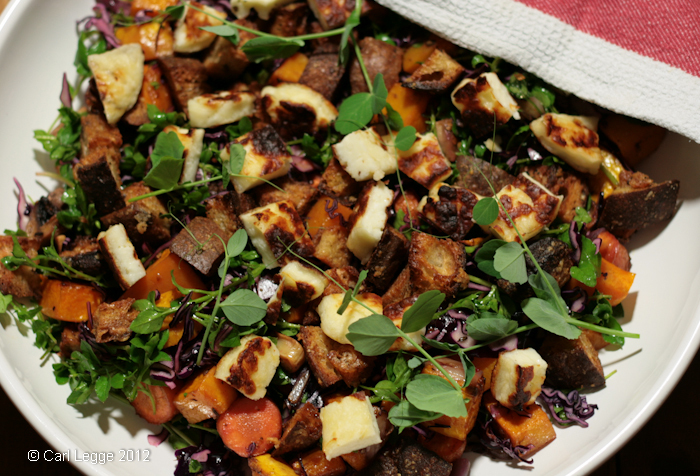 For this winter salad, I made the bread into crispy parmesan croutons and added some raw and roasted vegetables to make a big, punchy & pretty salad for a main meal. I was asked on twitter if it’s filling enough for hearty appetites. Well this made enough for three hungry gluttons with some left over for a lunch the next day. 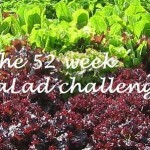 This is an ideal way to continue to have salad through the darker parts of the year. 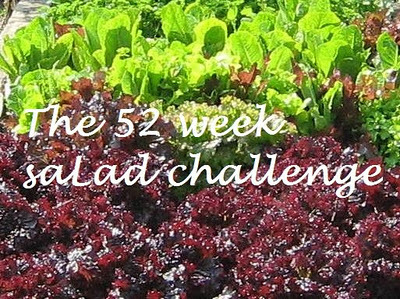 It’s another contribution from me to the 52 Week Salad Challenge. This cake is so simple and stunningly satisfying. It has a crunchy top and moist inside. The flavours are pleasingly complex with spicy sweet/tart apples contrasting with rich toffee-like roasted dates. 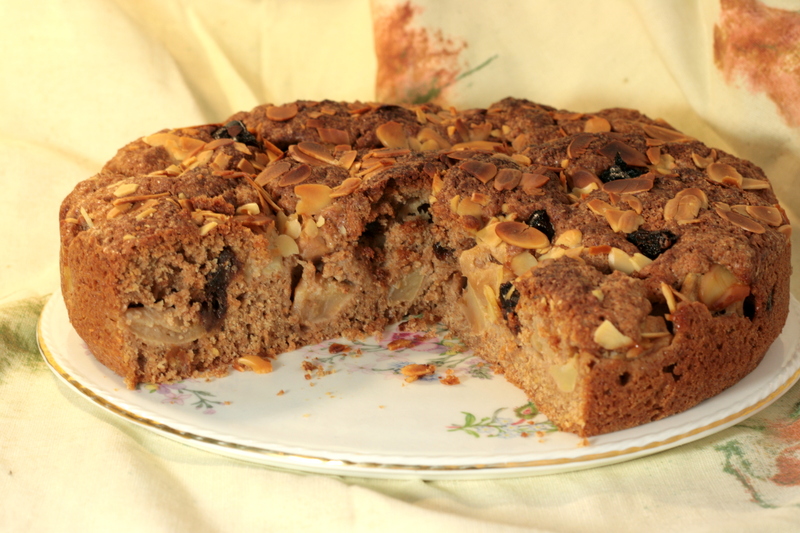 The spelt flour and almonds give the cake a substantial nutty body. It tastes great warm straight from the oven or cool later on. We like it a lot and have been known to eat it for breakfast. The recipe originates from my mother-in-law who is a superb purveyor of cakey delights. 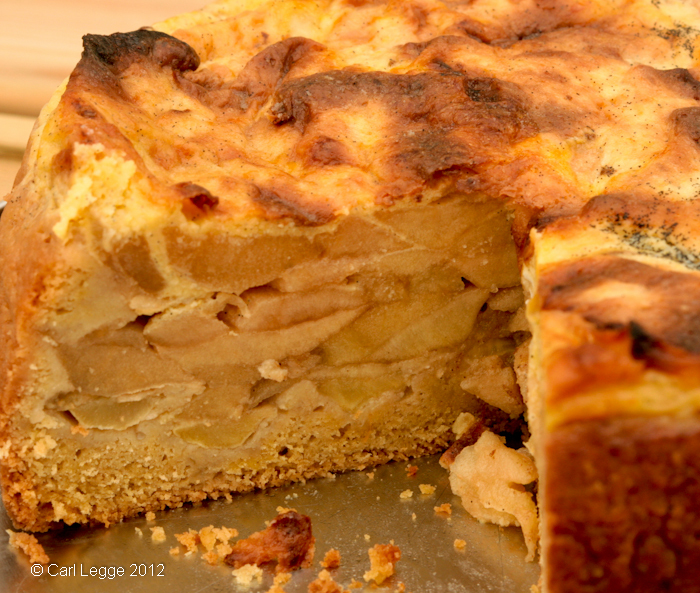 She gave me the recipe for a German Apple Almond cake that we’ve been enjoying for years. I thought I take that basic recipe and give it a twist. I hope she approves. I’ve just racked this heady concoction into a wine box and some bottles and had my first taste. It’s just gorgeous: fragrant, rich, heady and aromatic. It’s such a simple and quick wine, I’m quite shocked we all don’t make more of it. It’s another of the delights I found in Sandor Katz’s book Wild Fermentation. I’ve adapted the recipe slightly to my own ends and to fit my own incompetence. It’s still substantially the same wine that’s been made for centuries. I wonder who was the first person to find wild honey fermenting in a tree? Did they get a surprise when they tasted it and it was alcoholic? Did they remember what happened? And who eventually worked out how to reproduce the effect?